National Hispanic leader and US Senator Marco Rubio delivered a fantastic speech last night to the GOP convention in Tampa Bay, Florida warming up the crowd to the appearance of candidate Mitt Romney. Rubio is a GOP favorite and he’s the son of two Cuban immigrant parents. On numerous occasions the crowd broke out in loud cheers as Rubio spoke. His speech cast him in the mold of a national Hispanic leader and success story which he surely is. He also kept the focus of his speech on President Obama and his failed record and disappointed American public. Rubio told the crowd, “Our problem with President Obama isn’t that he’s a bad person….Our problem is that he’s a bad president!” The crowd thundered! 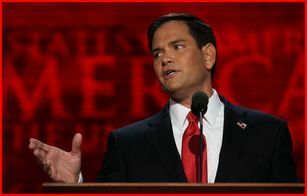 Rubio made several references to God during his speech and spoke of the dreams and opportunity America offers. A few Cuban Americans and others teared up during the speech as Rubio spoke of the tyranny still going on in Cuba. Rubio also made mention of Romney’s family coming to America from Mexico escaping revolution. There were Mormons in Mexico who had settled there to escape US persecution at that time. He noted how Romney’s family encountered poverty and struggle in the US during the Great Depression and how Romney himself rose to become an admired businessman and public servant. 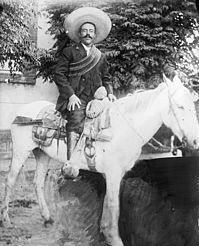 Romney himself is a son of immigrants from Mexcio. I was impressed with Rubio and what he had to say. Here is a young intelligent man with natural leadership qualities. The fact that he’s Hispanic and was given the prominent position of introducing Mitt Romney last night is significant for all Hispanic people. No longer are we being kept in the closet and ignored. Hispanics are coming to the forefront on a national level and Hispanic leaders like Rubio are emerging with good leadership skills and charisma. If I had to pick who will be the first Hispanic president of the US at some future point I’d place my bet on MARCO RUBIO. And that day IS coming soon! Many in the GOP wanted Rubio to be the vice presidential candidate but Romney chose Paul Ryan instead. I believe Romney, if elected, will put Rubio in a significant place in his administration and that will be a good thing for the freshman Senator from Florida, Marco Rubio. I for one am happy to see Hispanics moving UP the ladder!! The plan to move-in on the lucrative European cocaine market, especially in Britain, was thwarted in an operation code-named Dark Waters, launched by Spain’s National Police counter drugs and organised crime unit and the FBI office in Boston more than three years ago, it was revealed on Friday.